Just this past Friday, Alex Tuch signed a seven-year, $33.25 million contract with the Vegas Golden Knights. The 22-year-old forward will get $4.75 million per season. Tuch hasn’t played a game this season because of a lower-body injury. However, he had NHL career highs in goals (15), assists (22), and points (37) in a total of 78 games last season. During the Stanley Cup Playoffs, he had 6 goals and 4 assists in 20 of the games, helping Vegas reach the Stanley Cup Final, where they unfortunately lost to the Washington Capitals. “…I’ve worked really hard to get to this moment. Now it’s all about the Golden Knights and being a part of this great franchise for a really long time. This is where I stated my full-time NHL career, and seven years is really special, and honestly, I’m just really grateful,” (www.nhl.com). In the final season of a three-year, entry-level contract with the Minnesota Wild, Tuch was injured in a preseason game against the San Jose Sharks on September 30. He had one goal and 5 assists in three preseason games playing on a line with Max Pacioretty and Paul Stastny. The Golden Knights acquired Tuch in a trade with the Wild June 2017, under the condition that Vegas would select forward Erik Haula in the 2017 NHL Expansion Draft. Selected by Minnesota in the first round of the 2014 NHL Draft, Tuch has 37 points in 84 regular-season games. As far as the Golden Knights’ rivals are turning out to match-up this season, the Washington Capitals play the Canucks on Monday, October 22nd. Wing Jakub Vrana scored a goal and an assist in their 6-5 OT loss to the Florida Panthers on Friday. Vrana has two goals, one assist, 18 SOG, and 5 hits through 7 games. He is skating on the second line with center Nicklas Backstrom and right wing T.J. Oshie. 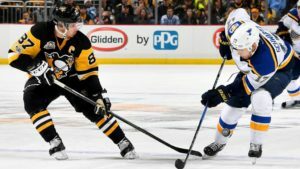 With his exposure to Backstrom and Oshie, he is worth consideration in both DFS and season-long formats (www.nhl.com). Right now, the Golden Knights are 3-4, while the Washington Capitals are 3-2-2. Neither team at the top of their division right now, we shall see what the NHL season holds for Tuch, Vrana, and their respective Stanley Cup Final teams.